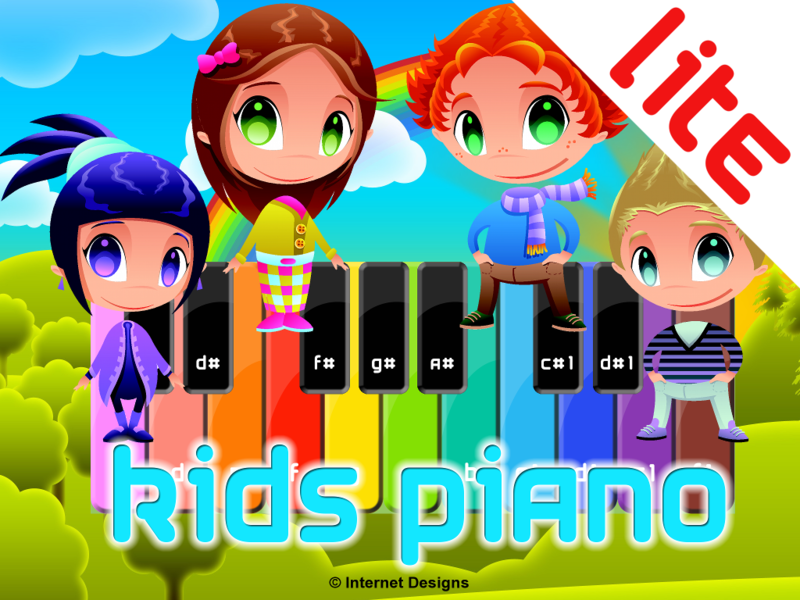 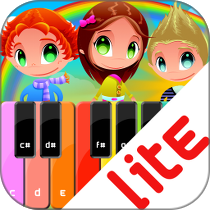 Kids Piano is an amazing app for children who want to start their adventure with playing the piano. 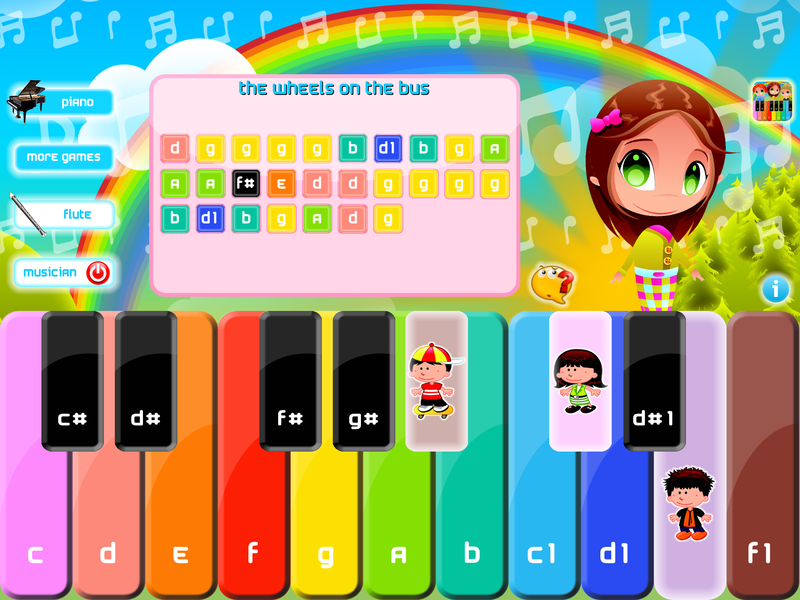 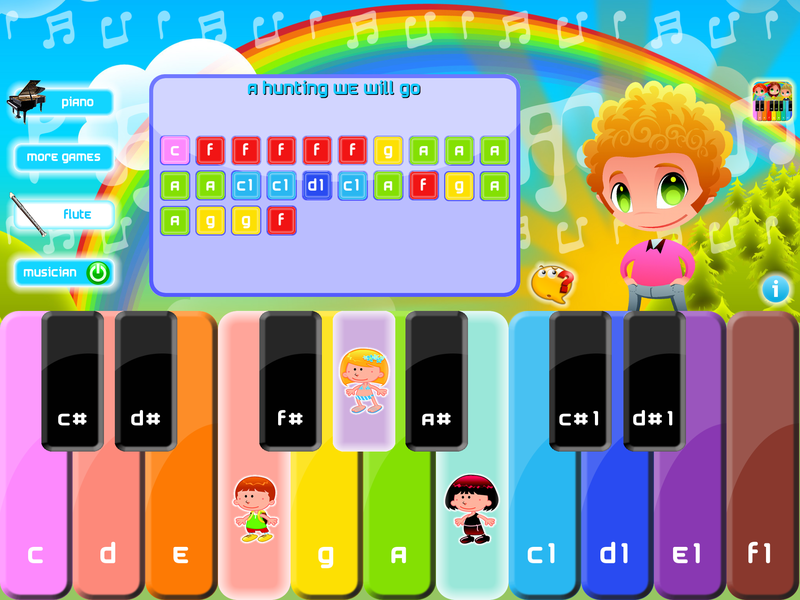 You can play your own music on the piano or songs from 5 available boards with colorful notes (20 in full version), thanks to which your children will easily learn how to play popular nursery/preschool songs. 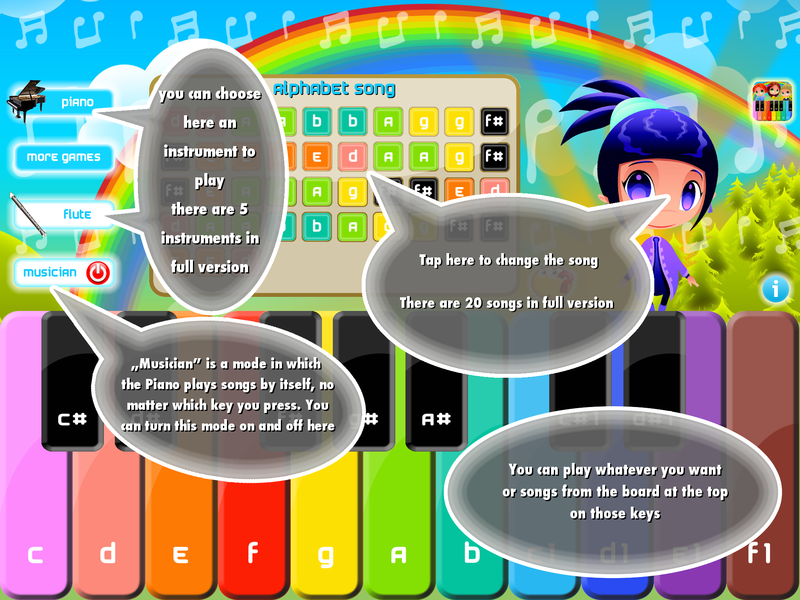 “Musician” is a mode by which the piano plays the songs itself, no matter which key was tapped so you don’t have to be afraid of “crazy music” composed by your child 😉 There are 2 instruments available to play (5 in fill version), everybody will find theirs favorite.